Bob Hawkey and the executive team are based at Neapco's plant near Detroit. For Neapco Holdings, an 87-year-old American maker of car and truck drivelines, opening its first office in China this fall was a very big deal. Giant global parts makers with deep pockets and big product portfolios are investing in China. Now Neapco, a relatively small company with a management team of just five, will be among them, fighting for a toehold. Its new office in Shanghai employs two people, one of whom does not speak Chinese. But bigger things are coming, including a Chinese manufacturing plant. It doesn't hurt that Neapco has a Chinese fairy godmother. In 2006, Chinese supplier conglomerate Wanxiang Group acquired a majority interest in Neapco for an undisclosed sum, with Neapco's senior management also taking an equity position. At the time, Neapco was in Pottsville, Pa., and was being sold off by its private equity owner, Carlyle Group. Neapco doesn't intend to hide behind Wanxiang's skirts in China -- although it did think about it. Wanxiang is already in the driveline business in China. "We floated that idea initially," says Bob Hawkey, the 64-year-old aerospace executive who came in as CEO in 2003. He and the executive team work out of office space in a Neapco factory in Belleville, Mich., about 20 miles southwest of Detroit. "My initial idea was that we would take the overall global order, and then kind of subcontract the production in China." But the idea was short-lived. Hawkey recalls that one of Neapco's U.S. customers told him point-blank, "We will not deal with someone who has a virtual company. You have to be there in substance, not just in name." And so, Hawkey makes clear, in China, Neapco will deliver Neapco-brand components to an expanding base of Neapco customers, managed by Neapco's Michigan team. The eventual plan, he adds, will be to build a Neapco plant in China through an ownership joint venture with Wanxiang. But the plant will be operated by Neapco. "We can have a very effective joint venture that we manage, that gives our customers the confidence that they're getting the same technical capability from us, whether our part's manufactured in Germany or it's manufactured in China," he says. So what good does it do to have a rich, well-connected majority owner if that owner can't play rainmaker in its home market? Wanxiang's involvement over the past five years has freed management to remake Neapco into a profitable, growing company with a new global strategy and a widening customer base that includes BMW, Audi and Volkswagen, he says. Neapco has been thriving in the U.S. market since 2006. The private company was operating with less than $100 million in revenues in 2006. This year, it will come close to $600 million, Hawkey says. Bob Hawkey, Neapco CEO: "We become a resource to them. We make sure there's a continuity of communication with the customer that would be extremely difficult if somebody was trying to deal with China." Carlyle wanted to move Neapco out of original-equipment parts and deeper into its retail aftermarket business. Hawkey thought just the opposite. One mammoth retail customer -- which Hawkey only identifies as "a gorilla" -- controlled most of Neapco's retail business. That customer, he says, wanted to put the manufacturer on a 365-day payment cycle. In other words, a purchase today would be paid for one year from today. To make it worse, Neapco was losing money on that client. Neapco's acquisition by Wanxiang sprang from a phone call from Hawkey to Pin Ni, president of Wanxiang America Corp., the Chinese company's U.S. holding company in suburban Chicago. Hawkey was looking for a buyer whose vision more closely aligned his own, and Wanxiang was looking for another U.S. acquisition. Wanxiang, a diverse privately owned company with about $8 billion in sales, has ownership positions in several U.S. companies besides Neapco. It does no manufacturing in North America. 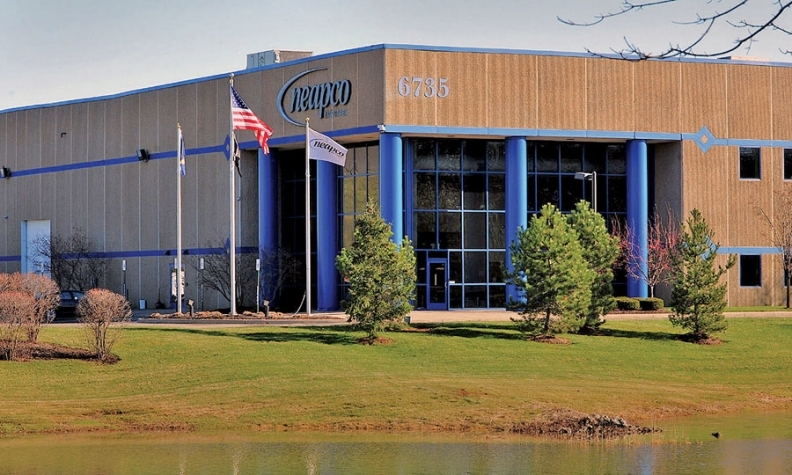 With Wanxiang behind it, Hawkey's team moved Neapco out of retail aftermarket and stepped up the search for original equipment parts business. Getting rid of "the gorilla" as a customer immediately improved cash flow by $4 million a year. The partners took no money out of the company and paid off their buyout in 18 months. They then acquired Ford Motor Co.'s driveshaft manufacturing business in Monroe, Mich., for an undisclosed amount in 2008, giving Neapco new business in Ford customers and products. Driveshafts are part of a driveline system, which consists of the multiple parts that connect a vehicle's transmission to its driving axle. Despite jumping into automaker original equipment on the eve of the worst economic downturn in a half century, Neapco has blossomed. Hawkey says Neapco has another $2 billion worth of booked business that will yield $300 million a year in additional revenues when it kicks in next year. Among products for which Neapco will supply parts: the Ford F-150 and Mustang, the next Ford Transit Connect van, Chrysler's Ram pickup, and unidentified future products from General Motors, Ford, BMW and Volkswagen Group. Compared with 400 employees in 2006, Neapco now has 2,100. It had only about 400,000 square feet of manufacturing space when Hawkey arrived in 2003. It now has 2.5 million, having added plants in Mexico, Poland and Germany. The plant in Mexico and another in Nebraska are being expanded to boost North American sourcing of subcomponents. That means bringing in-house content that Neapco has been sourcing from China, and in some cases, dropping Wanxiang as a supplier. Is Wanxiang OK with that? "They've given us a lot of latitude and independence," Hawkey says. "They're very sensitive to the overall economics of what we're doing. And they know that to demand that we continue buying from one of their plants, even if they've grown uncompetitive, would just put our entire business in an uncompetitive light." In short, Wanxiang is backing Neapco -- not controlling it. That is unusual. Throughout the 1980s and 1990s, suppliers from Japan created joint ventures with American companies. Those ventures were mostly to share customer bases. Asian suppliers got access to projects from Ford and GM. U.S. companies got their feet in the door at Toyota or Honda. 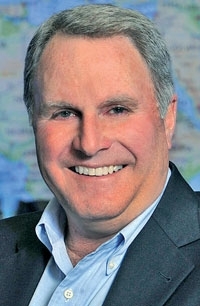 Separately, a global supplier acquisition binge has gone on for years as suppliers have tried to acquire new technologies. It is often faster and less expensive to buy a company with needed technology than to develop it in-house, says Jay Baron, CEO of the Center for Automotive Research in Ann Arbor, Mich. CAR has been following supplier trends in North America for decades. Baron reports from conversations with U.S. companies that other Chinese manufacturers are shopping for U.S. firms. "The Chinese know that the domestic expertise here is world-class and theirs is not," he says. "They would like to buy into it." Baron says that overtures have been made in the past year to American automotive tooling companies. But as the North American market gradually rebounds, the tooling companies have become busy. And because of the economic crisis, there are fewer tooling companies to handle automaker projects than there were five years ago. "The Chinese have been trying, but so far, there have been no takers," Baron says. But it's different for Neapco and Wanxiang, Hawkey says. Wanxiang is not acquiring technology. It is not even trying to secure a U.S. sales source for its Chinese-made subcomponents, judging from Neapco's shift to more North American production. It is about investing in a company with growth potential, Hawkey says, and learning how to be a global supplier. "They recognize that there are language, cultural and time zone obstacles to maintaining a good relationship with customers," he says of his co-owners. "We become a resource to them. We make sure there's a continuity of communication with the customer that would be extremely difficult if somebody was trying to deal with China. "Wanxiang doesn't have any manufacturing outside of China. If you really want to be a global partner, you've got to have the capabilities in terms of engineering and manufacture wherever the manufacturer's going to be assembling. And that's us."